Block paving is one of the most popular flexible pavement surfacing options. It is made from various materials (concrete, clay, recycled plastic etc.) but most commonly used are clay and concrete. Paver blocks are used for exterior pavement applications. They are available in different sizes, shapes, colours, textures and patterns. Pavers require low maintenance as compared to the plain concrete or asphalt pavement. Paver block does not need polish on top surface of the paver and it will not need to repaint in the future. You can regularly wash your patio or driveway with simple soap and water, so it will help to keep it looking fresh and in bright condition for many years. Cracking is not developed when they are properly interlocking with each other. It is a great material for residential and commercial application for long-lasting. Pavers can withstand any type of vehicle load and pedestrian traffic with low maintenance. Pavers are used for any type of traffic like, low, medium and heavy. It is also able to withstand a lot of pressure so that it can also be used in airport and docks. It is a great material which is available in variety shapes (I, Rectangular, square, Hexa, Cosmic, Trihex, Zig-Zag, and Cobble), colours (Red, Black, Yellow, Green, Blue and many other) and textures. 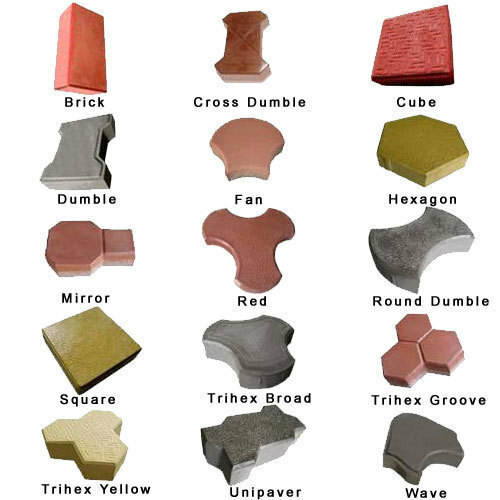 Paver has a unique quality to interlock with each other due to large availability of various shapes. The wide variety of design, colour, and thickness of paver makes block paving suitable for both domestic and commercial applications including patio, driveway, sidewalk, pool deck, parking areas etc. Paver blocks are more environment-friendly as compared to the solid plain surface. Solid surface causes water and chemical runoff that may pollute natural water sources. Block paving will also prevent rainwater from gathering or flooding, allowing you to create better drainage system on your patio or driveway. There are also available as interlocking permeable pavers, where vegetation is planted in each grid These types of pavers allow the re-use stormwater (Surface water in abnormal quantity resulting from heavy falls of rain or snow.) back into the grounds, rather than back into the street. Pavers are very safe pavement material for outdoor applications. When the top surface of paver is oily due to the passing of vehicle over them, it is very safe to walk and drive a vehicle over them. It is also safe when the top surface of the interlocking paver block is wet or in monsoon season, there is no problem for walking or no tension of slipping over them. Interlocking pavers are slip resistant and skid resistant. Pavers can be used in any climates (winter, summer and monsoon). Also in a colder climate, electric or liquid snow melting systems (Snow melting system prevents the build-up of snow and ice on walkways, patios and roadways.) can be installed under pavers. Snow melting system can reduce accidents as well as reduce slip hazards. 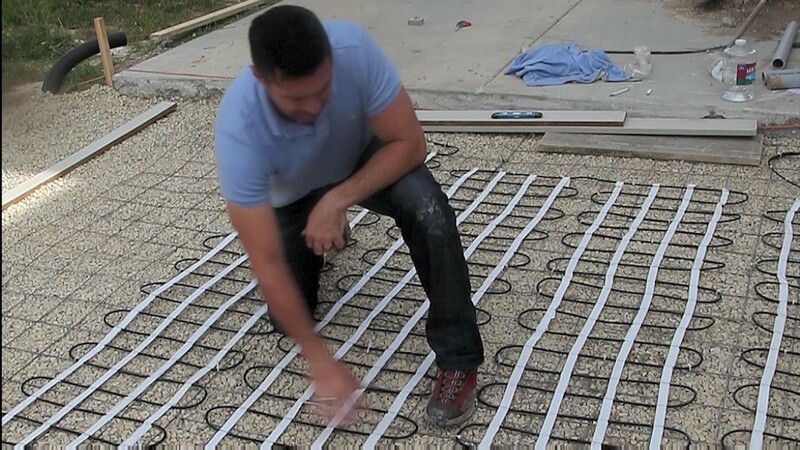 It can reduce expense related to removing snow and reduce the damaging effects of freeze-thaw cycles. It is easy to install without using any heavy machinery or equipment, and it is in around 3 to 4 days. After installation, you can immediately use block paving for walking and can be open to the traffic. Mortar is not required for installation of the paver. *Proper installation of paver block is play a major role in the long life of paver. Most important advantage of interlocking paver block is, if one block is damaged or stained with oil, diesel or petrol spillages, they can be easily removed and replaced with new one. It is easy to repair and replace as compared to asphalt, and or concrete pavement and no heavy machinery is used for repairing or replacing of the block. No skilled labour is required. Mass production of the interlocking paver block has reduced their price and made it easily affordable. It has less maintenance cost as compared to other paving materials. Concrete block paving is cost effective as compared to clay pavers or natural stone block (granite). Paver block is long time investment for your patio and driveway. It is very easily available from manufacturers & suppliers or online as per your choice. So, these are the advantages of interlocking paver block. Paver block is a long-lasting option for increased home value with the large availability of colours, shapes and sizes, you can create and also customize patio or driveway design. It gives both the beauty and durability of your pavement at a low cost and low maintenance.